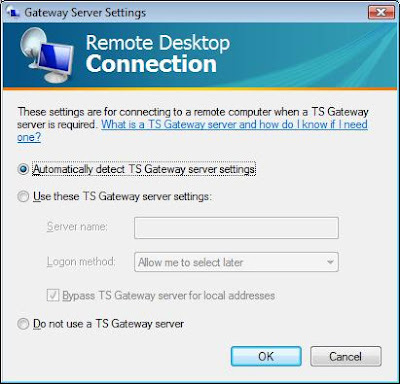 After a restart reporting services, you may come up with Unable to Connect to Remote Server Error when navigating to the web access. Typically an issue like this occurs in the RSWebApplication.config. This file is located in the ReportManager Folder (Example: C:\Program Files\Microsoft SQL Server\MSSQL.3\Reporting Services\ReportManager) I checked the <reportserverurl> and <reportservervirtualdirectory> tags were the same as before. 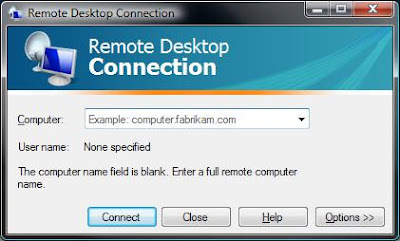 After changing the ReportServerUrl tag to contain both the server URL and the virtual directory, it could then connect to the remote server. No IP addresses were added or was any IIS settings that I could tell. Leaving the ReportServerUrl tag blank should allow for it to find the server locally. I recently found that if you are using a RAID Configuration for Windows XP or Vista you might run into a blue screen 0x0000007B stop code. If the SCSI/RAID driver isn't for the controller that the drives that are attached. If you are running a Western Digital Raptor drive you can run SATA over IDE which allows you to Enumerate this connection as IDE. This doesn't require a 3rd Party Driver for Windows. As soon as you switch SATA configuration to RAID Windows will require a RAID driver. Most newer motherboards come with two on board SATA controllers. Find the correct driver and copy that to a floppy drive. When you start the windows install press F6 when it prompts you for 3rd Party SCSI/RAID drivers. Finding the correct driver is key to avoid this blue screen. 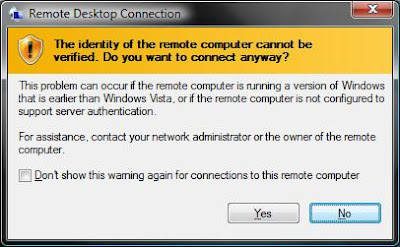 After upgrading Vista to Service Pack 1 you might notice that Remote Desktop Client was updated. First thing I noticed was that the option /console is gone. It was replaced with the option /admin. 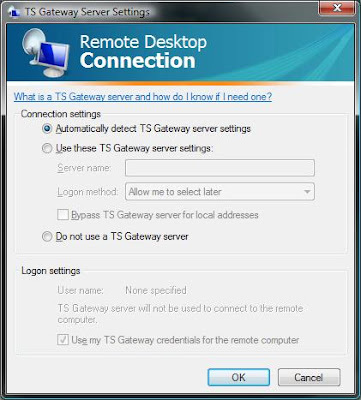 This option is to become compliant with Windows 2008 Server. From my understanding of Windows 2008 Server is that the console session is going to be replaced with each session being able "console" called admin. The admin option allows you to console into Windows 2003 console sessions still. I have been using both services for a few weeks now. Coke raised their point prices on their Rhapsody songs to 33 again. While Pepsi is still at 5 points for a song from Amazon. The comparison isn't even there, 5 to 11 20oz bottles in Pepsi's favor per song. When is comes down to it we drink what we like. I don't normally drink Pepsi but for free song I would drink wild cherry Pepsi over cherry coke. This kind of thought is what competing companies would like to hear. As a consumer getting reward back on something we already buy is great. I did have a failed download with Amazon when the downloader crashed. I ended up using their web form page to report this and got an email a few minutes later saying my download was reactivated. I found this process to be fast enough for me. Rhapsody also has pretty good redownload tool. I had heard complaints about amazon song downloading only once even if it failed. On a side note Rhapsody radio i have been using is really good. No commercials and fairly good genres to pick from too. Their 25 free song previews are also a nice perk over Amazon. I want to know how a song is in the middle of it with out buying it. If you cancel a song playing with Rhapsody before 30 seconds it doesn't count as a song play. With the recent rise in coke points I will be trying Amazon more these up coming weeks.